Masqué (Masked) is a series of four French graphic novels published in 2012-2013. It takes place in the same universe as the Chimera Brigade graphic novels, but in the 2020s. 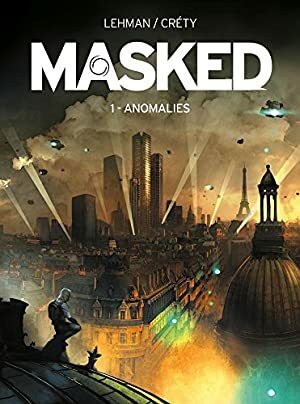 It is an interesting take on a French super-hero operating in Paris. It draws heavily from local history, culture and literature. This entry will explain the basics of this setting, as well as presenting Colonel Assan. Thus, there are minor S P O I L E R S about the story’s background, but not the events during the story itself. 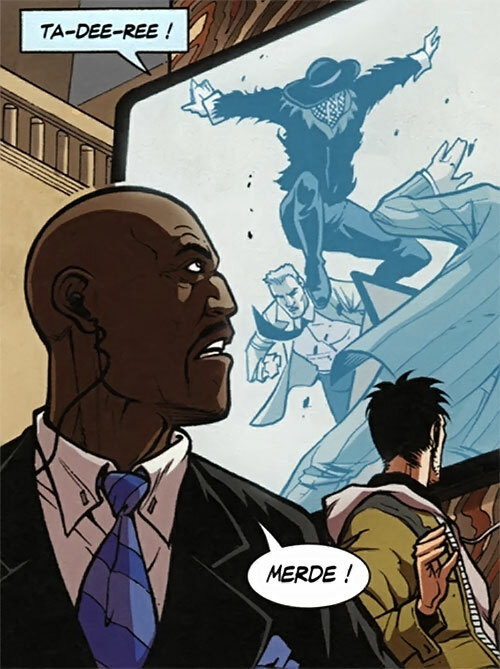 The Masqué graphic novel is part of a larger, complex setting. Though Masqué takes place in the near future, the roots of the setting are in interbellum France (1918-1939). See our Georges Spad profile for much more. The setting uses the obscure pre-WWII European sci-fi and heroic pulp literature as a metaphor for Europe. In the real world, the rich tradition of the merveilleux scientifique (“science marvels”, the French name for this lost literary genre) was among the large chunks of European culture destroyed by the second World War. In the setting, that translates as the tragic loss of most European heroes and other marvels in 1939 and during the War. Many of those who weren’t destroyed left for the US while still feasible, à la Albert Einstein. There they contributed to the rise of the American version of science marvels – the modern super-heroes. The setting is a parallel universe – though Europe has lost its marvels, centuries of super-science and magic have left the planet different than the real world. However there are no European super-heroes per se, whereas the US have an unspecified mix of Marvel, DC and other characters active. Real Name: Colonel Alain-Jean “A.J.” Assan. Group Affiliation: Former member of the French Armed Forces, now employee of the Greater Paris Special Prefect. Base Of Operations: Headquarters of the Préfecture de Métropole in Neuilly-sur-Seine. Colonel Assan is a highly-regarded senior military officer. He possesses considerable charisma, courage and willpower. He has international experience, and probably speaks three or more languages (English, French and Swahili). He’s a good shot with a handgun and seemed in good shape. Colonel Assan wasn’t originally French. Since his original first name was Linje (Swahili for “honourable”) and he had ties with France, he’s probably from the Great Lakes area. Presumably Rwanda or the Congolese frontier area. It also seems likely that he joined the French Foreign Legion and worked his way to a French nationality this way. When he became French he insisted on changing his first name to a French one. 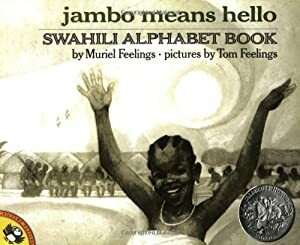 But he picked one that sounded like his Swahili first name – since he was proud of it. Assan served as part of Operation Daguet during the 1990-1991 Gulf War. He apparently was a war hero since he was reputed for his service there. Eventually, as he climbed the ranks, he became France’s NATO attaché to the Pentagon. He lived in the US for a few years before returning to Paris. During a diplomatic event at the White House, Colonel Assan shook hands with Superman. The Frenchman was uncharacteristically impressed, and became concerned with the absence of French super-heroes. He wanted to find a way to create one – perhaps even by becoming one. This concern ate at him even after he left the military. In 2008, the French government created a new position – the Special Prefect of the Greater Paris Métropole. Politician Jo&eum;l Beauregard was chosen. His mission was to revitalise Paris, presumably to develop its critical tourism-based income. Beauregard selected Colonel Assan as his head of security. He also hired Cléo Villanova. She was a researcher with big ideas about giving back to Paris what had been lost in 1940. Villanova used psychogeography to guide Beauregard’s work. The Special Prefect was 100% in – in part because Cléo was also his lover and childhood friend. “Psychogeography” was created by the Situationist Internationale (think of a mix of Marxism and Surrealism) and philosopher Guy Debord . It focuses on the effect of the urban environment on imagination and happiness. In American terms it could be likened to the “Keep Portland Weird ” or “Keep Austin Weird” movements. Albeit with a much stronger concern about mercantilism forcing a restructuration of cities around itself, and disenchanting urban spaces. With his huge budget, Beauregard and Villanova made big changes in Paris. That involved lots of retrofuturist architecture (including, shock and horror, high-rises) and wacky, imagination-igniting projects such as a giant hologram of Fantômas striding over Montmartre, reproducing a famous poster from the days of Parisian merveilleux scientifique and surrealism. These sweeping changes to the turbulent city triggered significant unrest. Colonel Assan thus had his hands full – even with numerous riot police companies under his orders. He also disliked the charismatic, frank Beauregard as being out for number one rather than a true patriot. The former hideout of Fantômas himself. That this hideout has been occupied by some hitherto unknown super-hero during and/or after WWII. Though only his uniform and a captured Nazi flag were found, and not a shred of additional information. That the psychogeography project *was* succeeding. The level of wonder/magic energy was rising in the French capital. Incidences of paranormal “anomalies”, not uncommon in New York City or Tōkyō but previously rare in Paris, sharply increased. 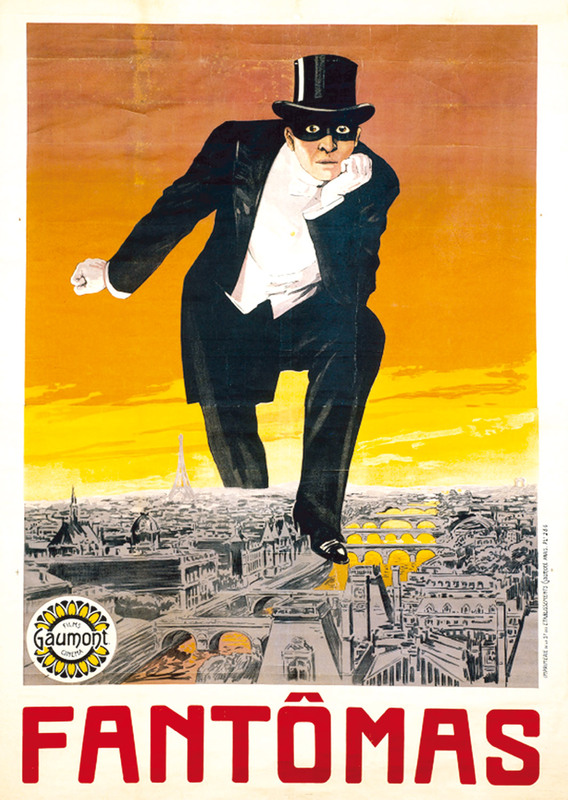 That Fantômas had established his hideout at the locus of Parisian wonder/magic energy. And so had numerous other persons all the way back to prehistory. As Beauregard’s project continued, making the Special Prefect a highly controversial star in Paris, levels continued to rise. Realising that soon there would be enough energy to cause the appearance of a Parisian super-hero, Colonel Assan stuck with the job for his country’s sake. 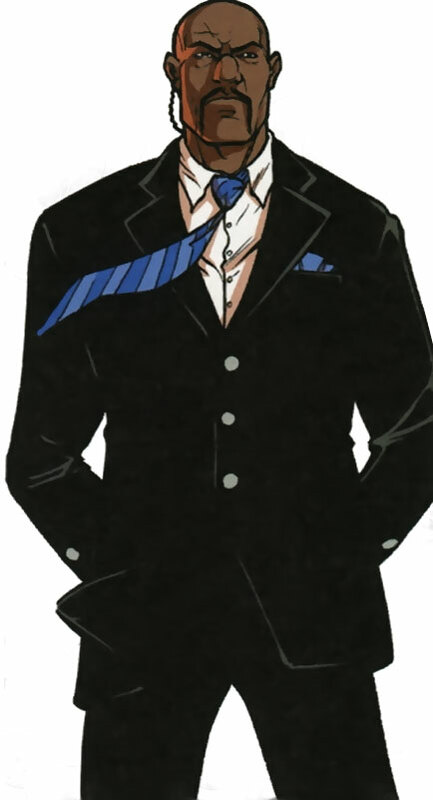 Assan is a stern, athletic man in an expensive black suit. He resembles a Secret Service agent, albeit with a more colourful tie. Colonel Assan is a patriot’s patriot, especially by French standards. His passion for serving, reinforcing and defending France is what drives his life. Though he now wears a suit, that he is career military is obvious in his mannerisms and language. He is a straight-shooting, direct, assertive, honourable sort. He did accept to become more morally flexible to support Beauregard’s project in the name of the nation’s higher interest. But even with this Assan was still ethically heads and shoulder above most. And it was clear to Beauregard that Assan viewed him as over-ambitious, fame-and-power-hungry scum. Familiarity (Military equipment and protocol, Security, Super-Heroes), Iron Nerves, Language (French, Swahili). French Army (Low), the Préfecture de Métropole (Low). Handgun [BODY 03, Projectile weapon: 04, Ammo: 15, R#0]. In-ear radio [BODY 01, Radio communication: 05, Miniaturisation: 01]. Source of Character: The four-volume French graphic novel Masqué (“Masked”). Writeup completed on the 28th of December, 2014.